New Delhi, Jan 28:) RJD leader Tejashwi Yadav on Monday said his party will take part in Congress President Rahul Gandhi's February 3 rally in Patna. "We have received the invitation and we will attend the rally," he told the media outside the Patiala House Court here after securing bail in the 2006 IRCTC hotels case. 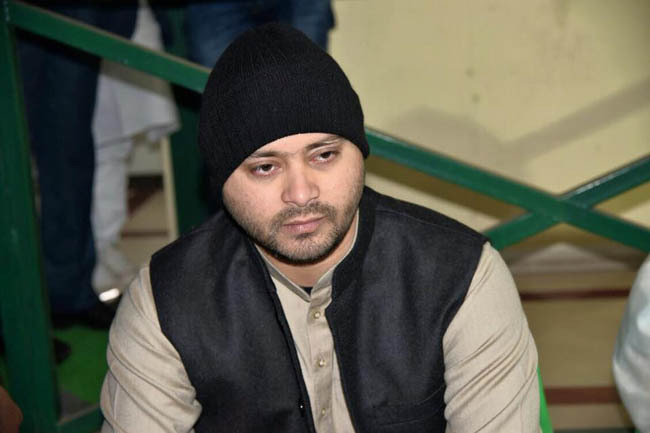 Besides Tejashwi Yadav, his father and former Bihar Chief Minister Lalu Prasad and his mother Rabri Devi were also granted bail. The Rashtriya Janata Dal (RJD) leader said: "We trust the judiciary." He called the case "political vendetta". "According to a newspaper report, former CBI Director Alok Verma said how a PMO official, Sushil Modi (now Bihar Deputy Chief Minister) and some others pressurised the investigation agency to file the case against us so that (Bihar Chief Minister) Nitish Kumar gets an excuse to return to their fold (NDA)," he said. Tejashwi Yadav claimed that if one sides with the NDA, then "you shall be described as 'King Harish Chandra'" but if you fight them and their ideology, "then Central Bureau of Investigation will file a case".